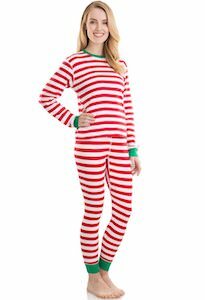 If you are looking for a fun and comfy sleep set then this women’s pajama is what you want. 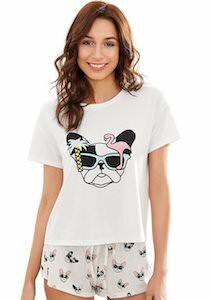 The pajama includes a tank top and shorts and it is made from 100% cotton and comes in women’s sizes Small – 3X plus. 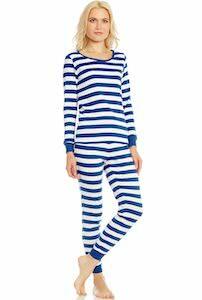 The shorts are light in color and covered in lines and the top is red and on it, you find the text we all say when the alarm goes in the morning “Just 5 More Minutes Please”. And as it is a tank top and shorts this set is just perfect for a hot night and for lounging on a weekend morning.